As we noted a few months ago, we love music even more than we love beer, and regularly combine those life-enriching pleasures at the B&C desk. On Saturday [4.18], they’ll come together on Record Store Day. 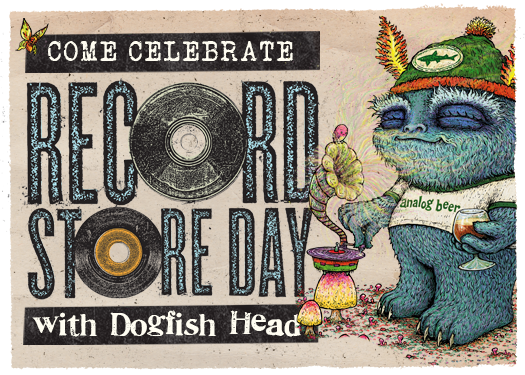 So, as Crowded House sang, it’s only natural that Dogfish Head is the Official Beer of Record Store Day, the worldwide celebration of independent music retailers and the permanent and inspiring bond they forge with their customers [aka fellow obsessives]. RSD is highlighted by the release of a jaw-dropping array of very limited edition mostly-vinyl offerings [picture discs, colored discs, 10-inch discs, box sets] by a wide-ranging array of artists [a sample of the Bs: Bee Gees, Big Data, Black Keys, Black Star, Blitzen Trapper, Buzzcocks]. You can hit the magical, mysterious racks and grab the RSD goodies [and much more] at the Music Box [Newport], Armageddon Shop [Providence], Newbury Comics [Warwick and Providence], Olympic Records [Providence], What Cheer Records + Vintage [Providence], Looney Tunes [Wakefield], and In Your Ear [Warren]. Check their sites for details on in-store performances and other enticements. 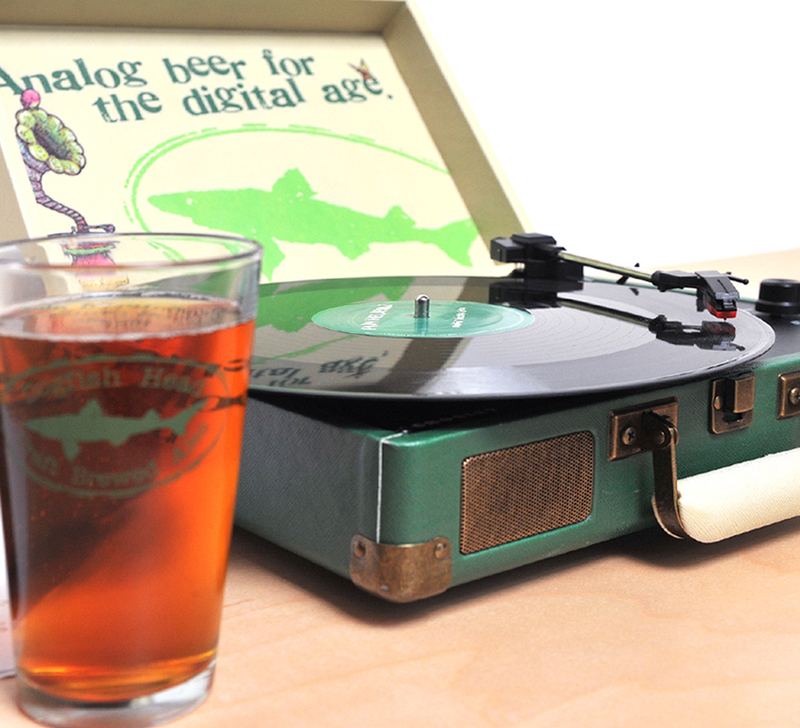 OK, back to the beer-and-music connection: Dogfish and Sony collaborated on a vinyl compilation, Music To Drink Beer To, with a dozen potent classic tracks [including Muddy Waters, Iggy & the Stooges, and A Tribe Called Quest; it will be released on RSD on vinyl and CD]. They also commissioned the official RSD poster by artist Marq Spusta [available for free at select stores and bars that sell Dogfish and on RSD at participating music retailers] and a custom mini-traveling turntable by Crosley, with Spusta’s art on the inside of the cover. You can buy the record player [$120] at Dogfish.com — or you can enter to win one at RSD/DFH events at these spots [you get a raffle ticket with each purchase of a DFH beer]: Pour Judgement in Newport will have Aprihop on draft and other Dogfish choices in bottles [all day Saturday]; the Ocean Mist in Matunuck will have 60 Minute IPA on draft, with live music Saturday and Sunday [the winning ticket will be drawn on 4.19 at 10 pm; you don’t have to be there to win]; and the Scurvy Dog in Providence will showcase 90 Minute IPA on draft and Sixty-One in bottles and host a vinyl swap [9-11 pm].